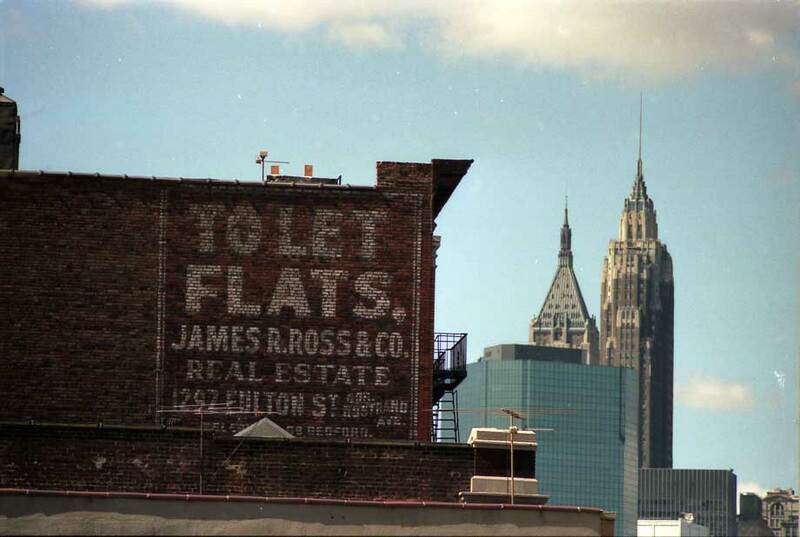 James R. Ross & Co.
1297 Fulton St. cor. Nostrand Ave.
James Rowland Ross (1865-1916) was born 19 April 1865 in Brooklyn, NY. In 1901 he applied for membership in the Sons of the American Revolution as a direct descendant of John Wilcox, a soldier in the Revolutionary Army. The application is annotated "deceased 24 June 1916," Ross's death date. He was in business in Brooklyn as a real estate agent from approximately 1890 until his death. City directories locate the business at 1297 Fulton St. on the corner of Nostrand Avenue from 1895 to 1911, then nearby at 568 Nostrand Avenue from 1912 to 1916. The digital collections of the Metropolitan New York Library Council show a James R. Ross business card stamped "Oct 23 1897." The second name on this card, Henry E. Pickford, is listed as a real estate agent in Brooklyn from approximately 1894 to 1900. Henry E. Pickford (1863-1924) withdrew from Ross & Co. in 1899: "Henry E. Pickford, who has been associated with James R. Ross for the last five years in the firm of James R. Ross & Co., 1297 Fulton street, has severed his connection with that firm. Mr. Ross, with the same staff of competent assistants, will continue the business at the old stand" (Real Estate Record and Builders' Guide, 18 Nov. 1899, page 787). Henry E. Pickford appears in the 1900 U. S. Census as a hotel keeper in Rangeley, Maine, and he died in Maine 10 March 1924. This ad for James R. Ross appeared in a Brooklyn city directory in 1895. 494 Nostrand Avenue was Ross's address (approx. 1893 to 1895) prior to moving to 1297 Fulton St. This ad for James R. Ross & Co. appeared in the Brooklyn Blue Book in 1896.